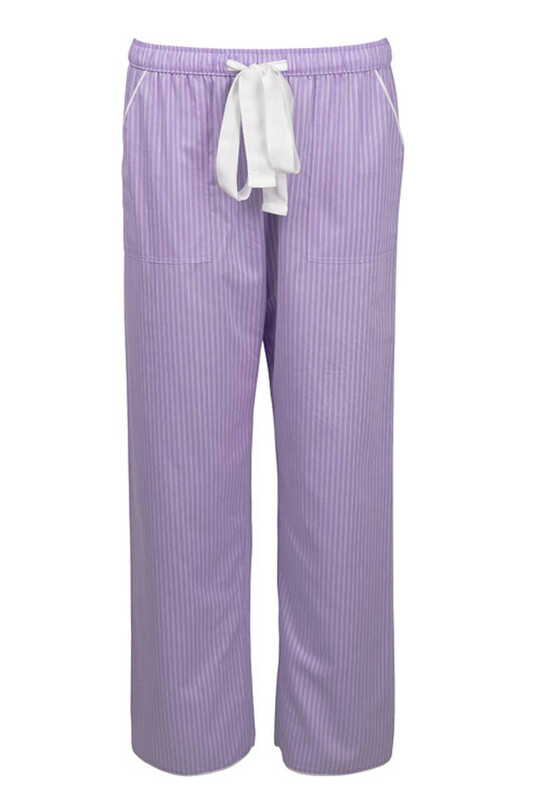 Presented in a feminine lilac shade, the Patchwork Aviary pyjama bottoms would be a comfortable choice to wear with the matching top to ensure a great night’s sleep. Crafted from soft cotton rich fabric with a striped print throughout. 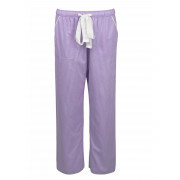 Designed by Cyberjammies with a slightly cropped length and featuring deep front pockets and elasticated waistband with white fabric tie.